These prototype test shots are quite handsome, even in gray. The graphics are quite like the packaging for the original Shogun Warriors (note that Super7 must be working with the current license holder). Earlier Super7 produces the Super Shogun Star Wars figures - new jumbo machinders of the Stormtrooper and Boba Fett, in several variations (these tend to debut at the Star Wars Celebration event but can still be purchased directly from Super7 - with the exception of the first Storemtrooper - so please don't pay those exorbitant aftermarket prices). 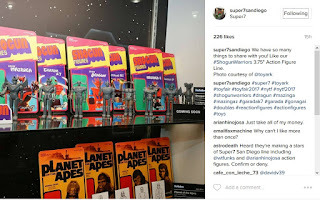 It's an interesting selection introducing new characters to the US and perhaps echoing the current sofubi release of the classic Mazinger Z villains in 55 cm by companies like Mandrake and others in retro-styled boxes. For myself, I can't wait to once again hold new-packaged Shogun Warrior figures! 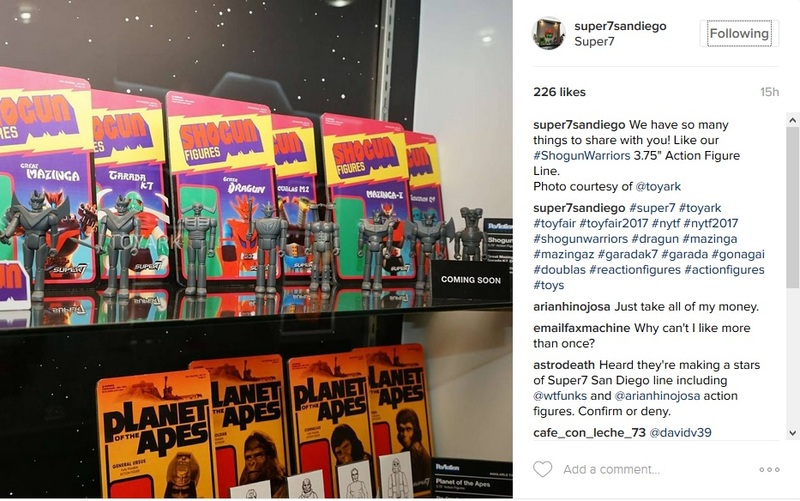 From other photos it appears that Super7 will also provide new M.U.S.C.L.E Shogun Warrior figures - an interesting tie-in sure to delight the Shogun Warrior community! Release date from a few sources is 2017 Spring or Summer. I can't wait! That pretty much wraps up my current Popy collection (barring doubles). I'll update the list as the collection expands. As always, if anyone has any additional information to add, please contact me.